While this cartoon makes the reader chuckle, most would agree that it is pretty predictable. 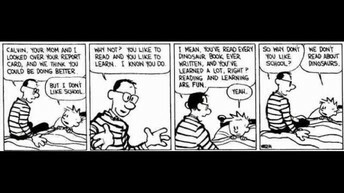 I recently came across an article that referred to this cartoon, comparing it to the culture of today that is quick to cast blame on the teacher for a child’s lack of motivation or poor grades. 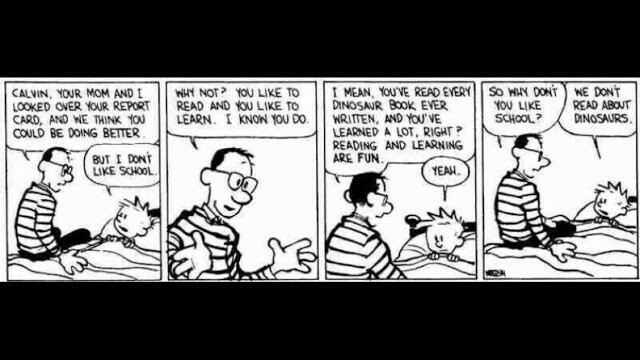 School can certainly be fun, but it is also hard work. At times, it will be boring and tedious and require real discipline and grit on the part of a student to plow their way through it. Helping our students develop the skills to do hard work now for the long term pay-off is one of the greatest gifts we can give our children. Most educators would agree that kids of the past were better able to buckle down and grind through unpleasant tasks, whereas today they are more likely to give in to despair and give up. This is not surprising, as we constantly see modern marketing appealing to audiences with a message that says: If you have this, your life will be simpler……or require less work ….. or will be less frustrating. I myself fall for it almost every time! The article makes the same point using the family meal, which is nearly non-existent, as fewer and fewer of us cook. Why? Because it takes a lot of time and work for shopping, prepping, cooking, and cleanup when we can simply eat out. But even eating out wasn’t convenient enough, and so was born the fast food, drive through industry. And even that was too burdensome, so now we have food delivered directly to our home. Does this never-ending quest to make life easier have an effect on how our kids tackle school? Of course it does! Watch students try and solve a math problem they’ve never seen before. They often give up before they’ve even started – not because they lack the intellectual capacity to solve it, but because our culture has trained them to believe problem solving should be easy and they often crumble when it’s not. They will ask the teacher: “How do we do it?” The teacher can show them, give them 5 more questions just like it and they’ll joyfully go about their work. BUT, if the 6th problem introduces a twist, or requires new insight, they will often give up again until the teacher shows them how. Not having grit, perseverance, or whatever one wants to call it, can rob kids of the chance for real success further down the road. 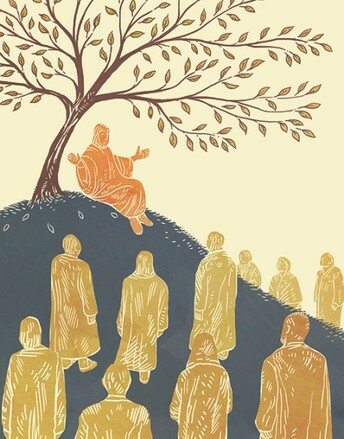 And it is not their fault – it’s the world we’ve created, the world they live in. How parents handle their kids will have a large effect on their grit. Challenge your children when there may be an easy way out and do not intentionally make things too easy for them. Choose to coach them through life lessons rather than stepping in to rescue them. Make them save before a purchase and do not be afraid of denying them what they want if it is not good for them. Our kids are not lacking in character – they are as quirky, intelligent, and funny as ever. We must not sell them short by excusing them from opportunities that build grit or not letting them experience the satisfaction of something achieved through their very own hard work. Four years ago the American Heart Association along with generous benefactor Mr. Joe Miller gifted ICCS with our very own teaching garden. At the time our grant was awarded, we were the only Catholic school receiving a teaching garden in our AHA representative’s large territory. 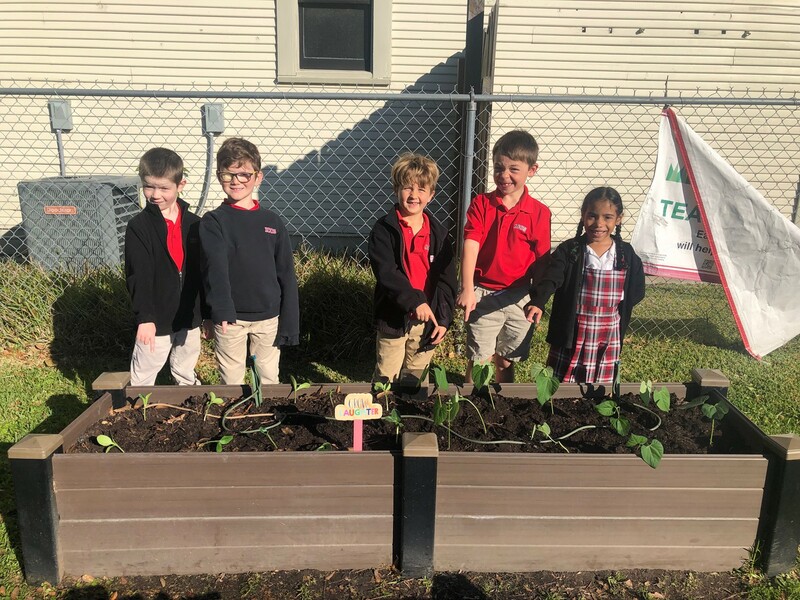 We have been given tremendous support over these four years by Mr. Joe, Master Gardener Nola Ducote, and many other local Master Gardeners that have graciously contributed seedlings to our garden. This has been a beautiful community endeavor that has brought so much joy to our students. From seeds to seedlings to abundantly producing plants and even sometimes to fighting off fungus on the leaves of plants and powdery mildew, our students have grown through and with our teaching garden. In this fourth spring planting and to the delight of our youngest friends, we were generously gifted with a Grow Light from AHA to help support growing our own seeds indoors. Our students have had a wonderful time watching and monitoring the daily plant growth. In fact, this week our first graders transplanted their very healthy bush bean and squash plants to the garden. At the close of this school year, our generous funding from Mr. Joe and AHA is over but because she is so invested in our garden and frankly has become an important part of our little Catholic school, Mrs. Nola Ducote will be popping in from time to time to support us on her own. 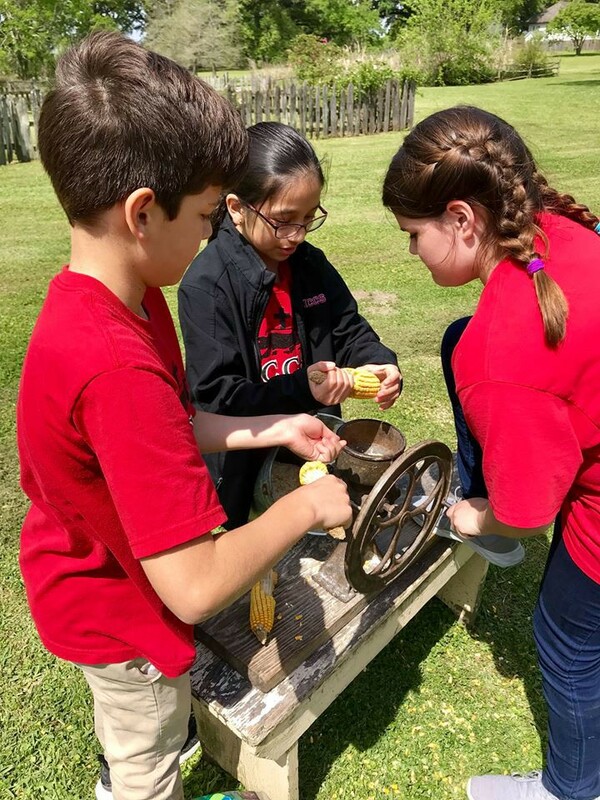 As found in Mathew Chapter 13, we are blessed with immense gratitude for Mrs. Ducote’s continuous and generous gifts of rich soil where our seeds have been indelibly sown. Happy spring planting ICCS! The 2019 ICCS PTO Dinner Auction was a BIG success! Preliminary figures show $200,000 was raised this year! 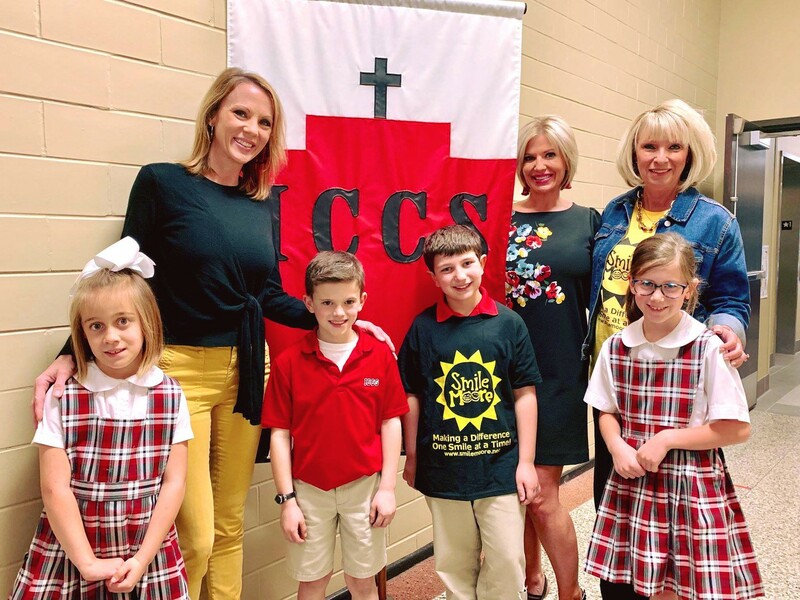 Thanks a million to every ICCS family, friend, grandparent, teacher and supporter who donated or purchased items, gave monetary donations, bought raffle tickets, attended the event or helped set up or clean up the Gym. Our sincere gratitude to the 2019 PTO Auction Committee for dedicating their time, talents, creativity and treasures to make this event the most successful fundraiser in school history. Sign Up Parties are still available! Check the front lobby for listings! All credit cards will be processed tomorrow and statements/receipts will be sent home. If you need to make a payment with a credit card, please call the front office at 433-3497. The PTO Boiled Crawfish Sale Fundraiser is now underway! Tickets and an information sheet went home with students on Monday. All ICCS families are asked to help make this fundraiser successful by selling tickets to family members, friends, neighbors and co-workers. All proceeds benefit the ICCS PTO. This new PTO fundraiser will take place on Sunday, May 5 at ICCS. Tickets are $25 for 4lbs of delicious boiled crawfish, two (2) potatoes and one (1) corn. A special "buy four tickets, get one free" deal is being offered. A convenient drive-thru pick up service will be available for all ticket holders. For more information, please contact the PTO Crawfish Fundraiser Chairperson, Debra Wilder at (337) 302-1134, or by email at erroldebra@suddenlink.net. NEED PTO POINTS? Help is needed! Please contact Debra Wilder for more details concerning Boiled Crawfish Sale Fundraiser volunteer opportunities. 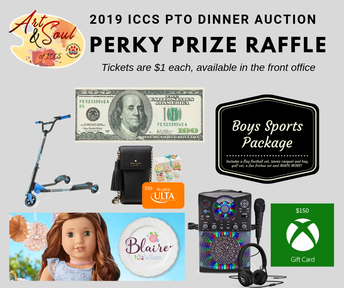 Many thanks to the ICCS students and families for making the Perky Prize Raffle a big hit again this year. Congratulations to the Perky Prize Raffle winners! Attention students! 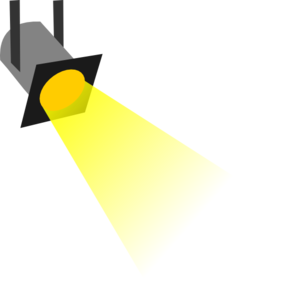 Auditions for the 2019 ICCS Variety Show will take place April 10-11, right after school. For more information, or to sign up for an audition date and time, please see Mrs. Jessen. Please note: if a group is trying out for the Variety Show all members must be present at the audition. The April Birthday Mass will be celebrated tomorrow, Friday, April 5, at 8:30 a.m. in the ICCS Gym. Ms. Catherine Ebersole's 4B Class will lead the mass, along with Father Buller. All parents and Grandpanthers are invited to attend. Our 2nd Grade friends presented Smile Moore with a check for $1,279.75 this week. The money was collected during their Mardi Gras button sale last month. We are super proud of our hard working, smart, kind and caring 2nd Grade students. The kids are looking forward to seeing the funds put to good use here in our community through the Smile Moore organization. During Lent, the three pillars of the penitential season are: prayer, fasting and almsgiving. Each Middle School homeroom class recently chose a non-profit organization and a project to accomplish almsgiving. The students worked together with Middle School Religion Teacher, Mrs. Amanda Brinkman, to brainstorm, plan and prepare for a fundraising event and goal that would benefit special organizations that are near and dear to our student's hearts. In order to raise funds for the philanthropies, students agreed to work the concession stand at the St.Louis Baseball games to successfully earn money for the project. Mrs. Brinkman would like to thank the students and their parents for their support of those in need and those who help serve our community day in and day out. 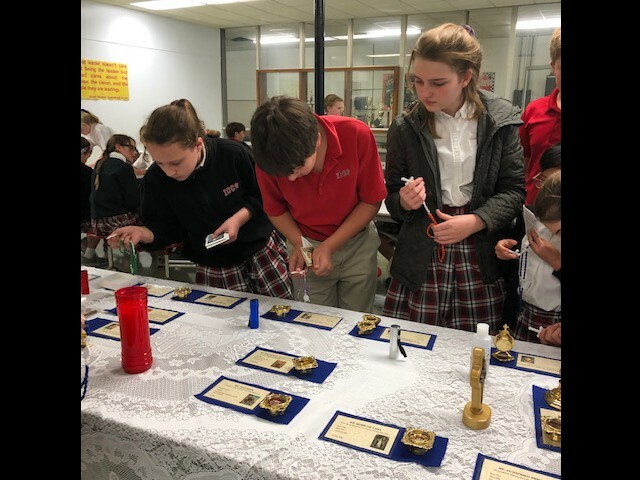 Liz and Mark Descant, parents of ICCS Progressions Teacher Mrs. Lea Poncho, presented a variety of religious Relics to the 5th and 8th Grade students today. Mr. & Mrs. Descant spoke to students about the history of the Relics and their origination. The students viewed a total of 34 Relics, with 24 of them being first class Relics. Our 5th Grade students visited Magnolia Mound in Baton Rouge last week to explore the plantation grounds and to learn more about the architecture influenced by early settlers from France and the West Indies. Students also visited the Louisiana State Capitol while in Baton Rouge. A good time was had by all! 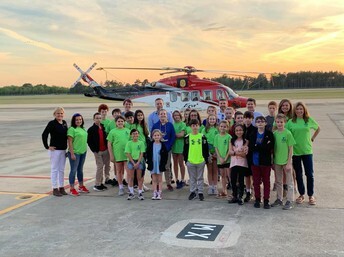 YES CLUB VISITS ERA HELICOPTERS! The ICCS Young Engineers Society visited ERA Helicopters this week to explore and learn about powerful helicopter engines and mechanical processes. Special thanks to the ERA Team for showing our students and parents around the facility. This Friday, April 5, St. Louis Catholic will host the first of its Strategic Visioning Listening Sessions. These sessions provide current and future parents a valuable opportunity to offer thoughts and opinions on the present state and future of St. Louis Catholic High School. The SLC team will take what they hear, along with the work of their faculty and staff, to draft a strategic vision and plan for the future of the school. The SLC Administration looks forward to seeing you and hearing your thoughts.